An etched cristal looks as though heiroglyphs or cuneiform writing have been inscribed on its faces. 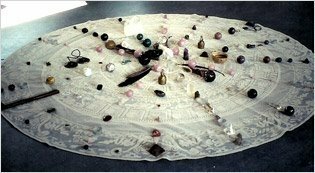 Used when meditating, this crystal takes you back to the ancient civilizations to access wisdom and knowledge of pastlives. It can be extremely useful in attuning to spiritual training and initiations carried out at that time, re-awakening inherent skills and healing abilities. 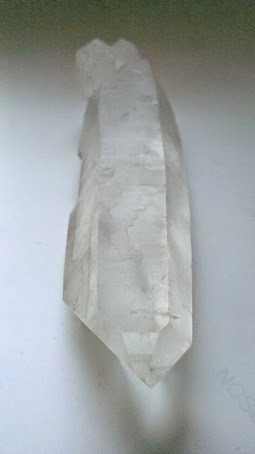 It is said thatan etched crystal is a personal crystal and should be used by one person only but, appropriately cleansed and reprogrammed before and after use, it can skillfully guide another soul consciously to access their own past knowledge. It is especially helpful in pastlife therapy when going to a time before dis-ease or destructiveemotional patterns set in, so that the regressee can feel what it was like to be without these heavy burdens, facilitating recovery of the state of inner perfection.